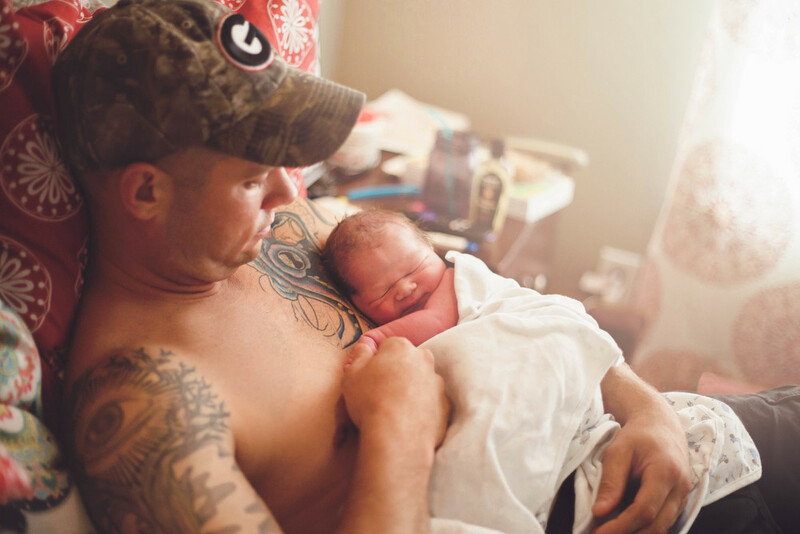 Birth photography consists of artistic, documentary-style images taken throughout your labor and your child's birth and the immediate postpartum period. As a birth doula, I know the "language" of birth and I am practiced in capturing fleeting moments and emotions in rapidly changing lighting conditions and varying spaces. I have worked together with many midwives, doctors, and other doulas when acting as a birth photographer and I understand how to work discreetly to capture your story while respecting your birth space and the working space of your birth team. It is important to me that we get to know one another prior to your birth, you should feel 100% comfortable with everyone who will be in your birthing space, including your photographer. That is why each booking begins with an in-person consultation so that we can meet and discuss your birth and your photography needs. My "on-call fee" covers my time, travel, and childcare costs to shoot an unlimited number of photos during your entire labor and birth, as well as the selection and editing of (generally 100+) images. Birth photography packages are available separately. All packages include your edited images on a custom disc or USB drive. Premium packages include other items, such as beautifully choreographed slideshows (full-length and "social sharing" length slideshows), keepsake boxes with archival 6x6" prints, premium albums, and discounted maternity and/or newborn portrait sessions. View birth photography pricing here. I do my best to provide some "sneak peek" images from your birth within 48 hours. That way you can use the images to announce your baby's arrival on social media, etc. Within 4 weeks of your birth your images will be published to an online gallery where they will be viewable to those with the gallery password. You may download your images directly from the gallery and you will also receive a custom USB or disc (depending on which format you prefer) as well as any other items included in your package. How far in advance should I book my session or birth? Please book as soon as possible! Especially for birth photography, I encourage you to get in touch with me as early as possible because I only schedule a maximum of one birth per month. The deposit (or “on-call” fee) of, which is credited towards the total price of your package can be booked online through my website or in person at the time of our consultation. I am on-call for your baby's birth beginning 3 weeks before your estimated due date and continuing until your little one arrives. For maternity portraits I recommend scheduling your session during your 3rd trimester - we want to be sure to see that beautiful bump! Again, the maternity session deposit can be paid online to hold your date. For newborn portraits it is best that we try to have your session within 2 weeks of your baby's birth. If you are booking newborn photos alone (not in a birth photography package) please contact me with your estimated due date so that I can put a note on my calendar to expect your call around that time! Request a Birth Photography Welcome Packet!